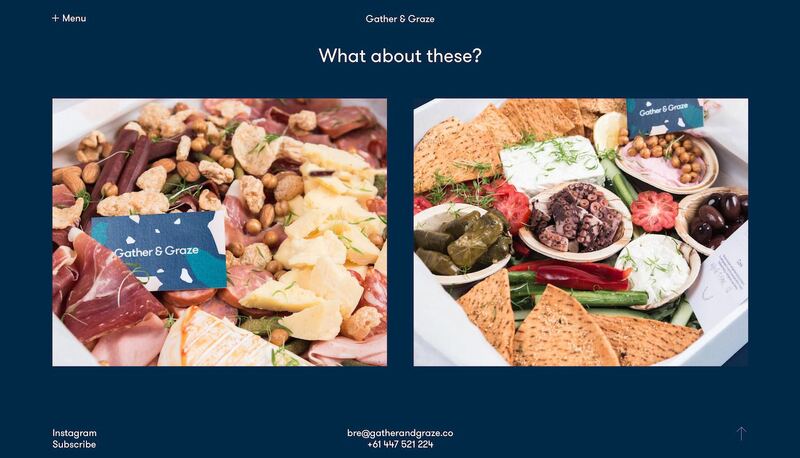 Gather & Graze is a new boutique catering company, based in Adelaide, South Australia, focussing on providing clients with unique platters and grazing tables for events of all shapes and sizes. 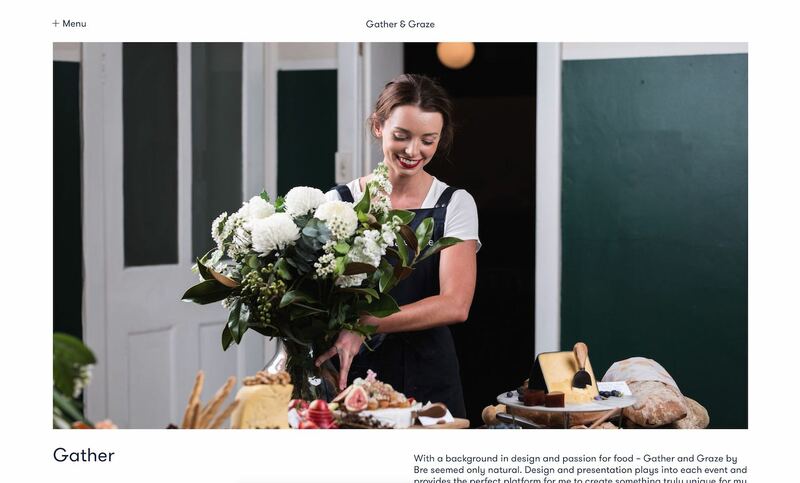 Lead by Adelaide entrepreneur Bre Parkes, Gather & Graze uses only the highest quality ingredients to produce final products that are more than just instagram worthy – they’re truly memorable. 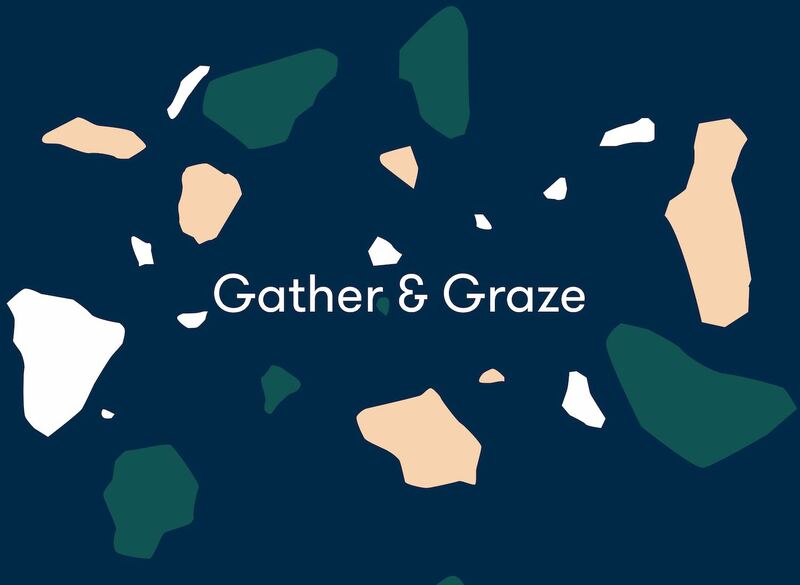 For such a boutique and specialised startup, Gather & Graze required a web presence that not only utilised some of the latest and greatest in web development technologies, but also provided an easy-to-use platform for capturing sales enquiries, and providing the system to manage the whole booking process from here. Scott Reynolds was engaged by Adelaide designer, Ben Ramsey, to complete the development work on this project. The site is running a WordPress back-end, which allows for easy management and updating of the site’s content, but a completely custom theme with significant custom development work to make the whole project gel together. 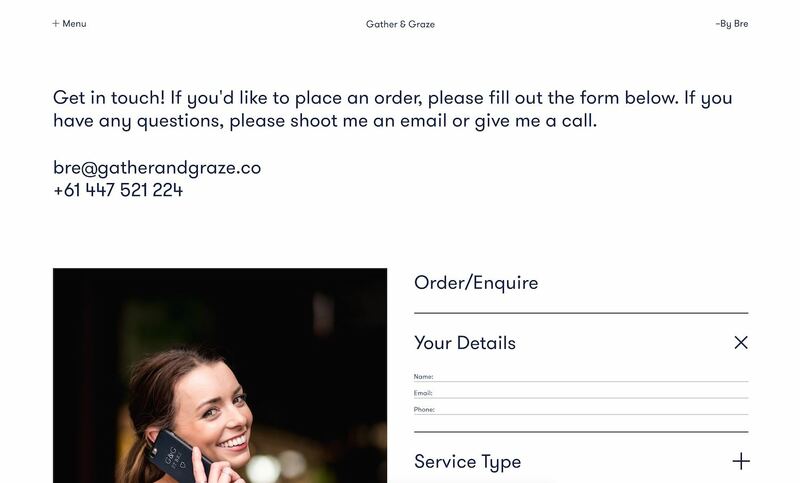 This included custom-built front-end forms, allowing a guest user to submit content to the site for moderation (an enquiry), and then for a business decision to be made on this information provided. 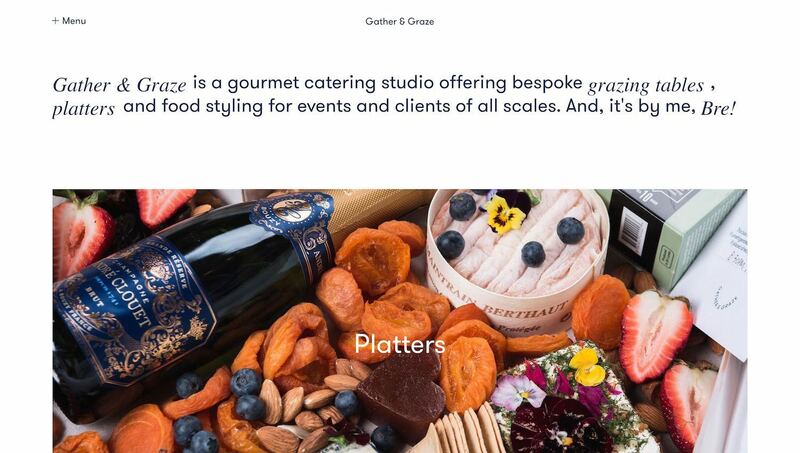 The site is fully responsive, and utilises some SVG elements (instead of GIFs) to ensure that the loading times were kept to a minimum, but also allowing for animation and interactive elements which resize to a user’s device. 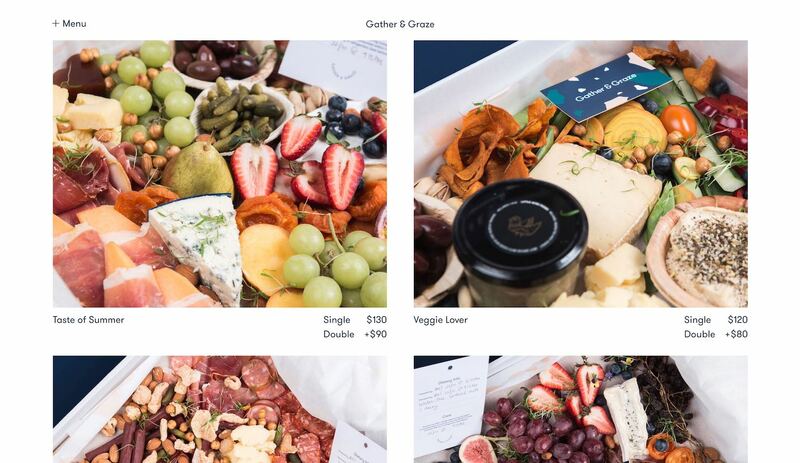 Large imagery is used to draw attention to the product itself, and dynamic pages are generated for each of the menu items based on these being entered into the WordPress management dashboard. Prices can be updated instantly, as well as adding new products both in realtime, and also on a schedule. This was really useful in planning for seasonal items, that should only appear on certain dates. 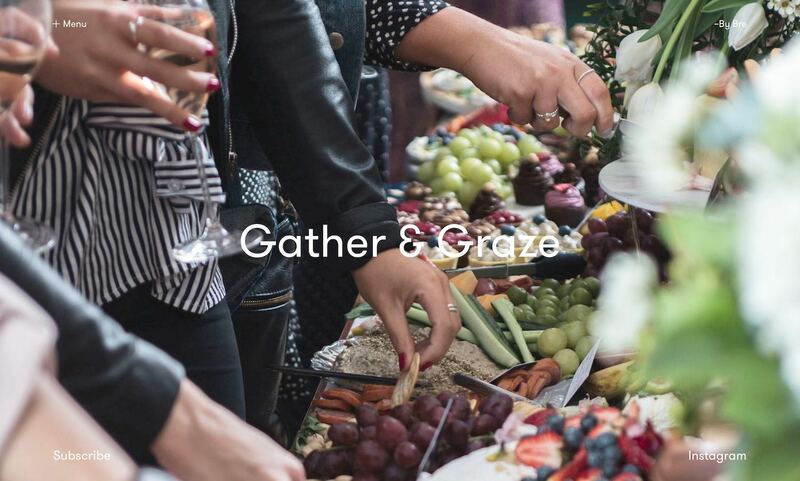 There are certainly exciting times ahead, but if you’re looking for an alternative catering option for your next function, it’s highly recommended you get in touch with Bre from Gather & Graze!